Apparently this machine allows you to make a stamp out of any image you want. How cool would that be!! Cooler than cool! And it's about time! There was/is a company called Justrite that made "flash stamps" I remember hearing about them and goggled a bit but it seems like they stopped making them. I wonder if this is the same concept? The Justrite company doesn't seem to sell their kits anymore that I could find. I'd be really interested to see the cost per stamp on this item because I can't be the only one who has wasted money only to find a stamp didn't work for a project or searched at the last minute for a simple image that would have made a project perfect. I really want MORE INFO on this product...ASAP!!! I absolutely LOVE anything from Teresa Collins. 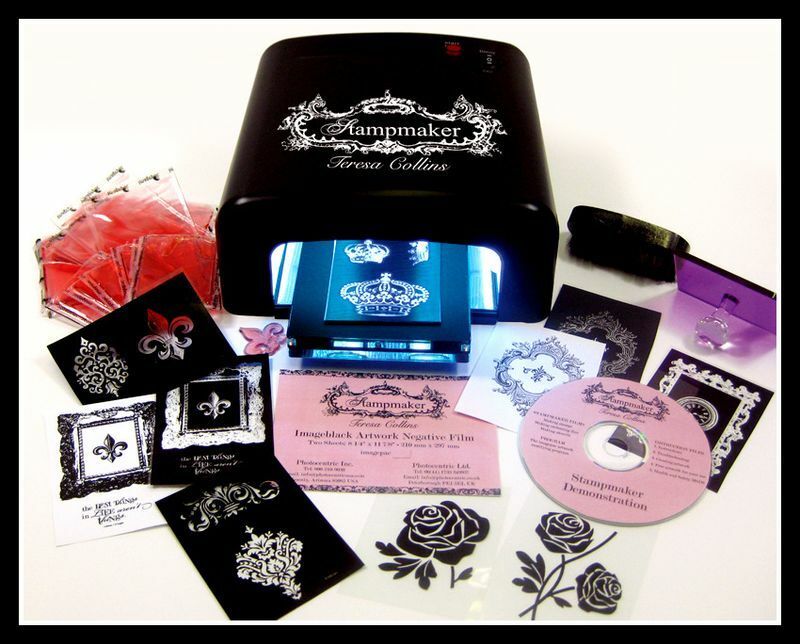 I am very excited about her new stampmaker and after watching her demo it on her blog, am SOLD on this fabulous machine!! It will retail for $169.99 and comes with everything you need to make your own stamps, stencils, & embossing dies. Here is the link to watch her demoing this amazing new product, just scroll down...there are 2 videos..http://www.teresacollins.typepad.com/teresa_collins/#tp.